Recently, Mt. 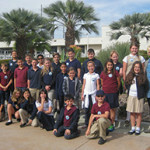 Helix Academy 4th and 5th graders were invited by Helix Water to take a tour of the R.M. Levy Water Treatment Facility as part of their science curriculum. 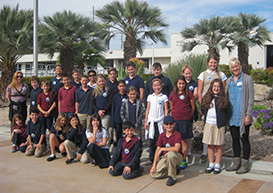 Students enjoyed a fascinating tour during which they learned about how water from Lake Jennings is cleansed by separating dirt and dust from the water and, through the use of ozone (instead of chlorine), to create a potable source of water that is then piped into San Diego County homes. Along the way, students we able to see laboratory testing results showing how in each step the water becomes cleaner until it is clean enough to use. The tour proved to be a wonderful learning experience and our students demonstrated the quality of instruction received at Mt. Helix Academy.